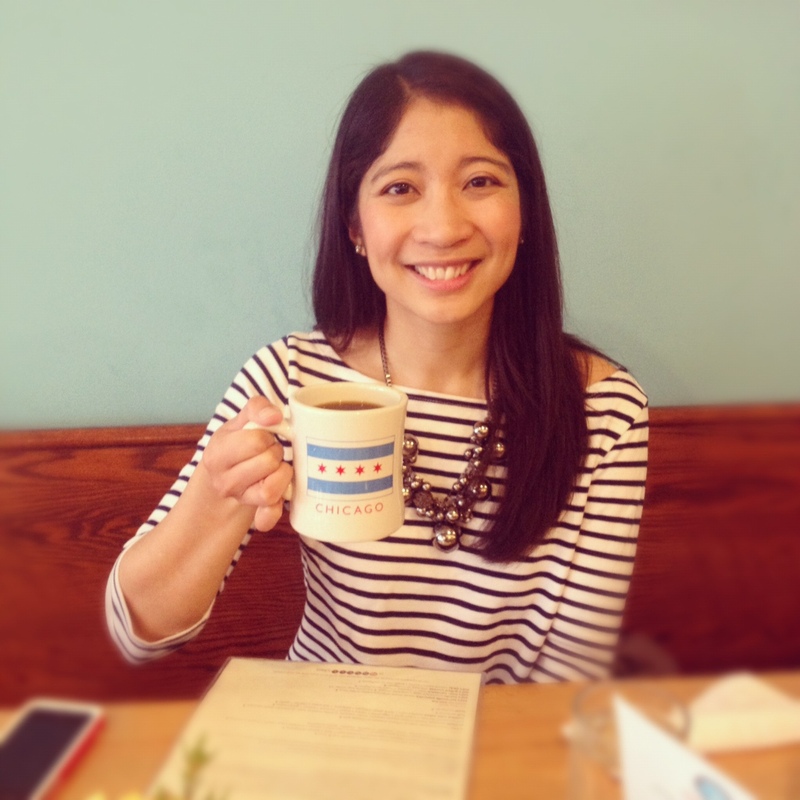 Finding a spot to eat in Roscoe Village is never an issue. There are restaurants like Orange and Kitsch’n for brunch, as well as bars like Village Tap and Volo for happy hour. While the food and drinks are incredible at all of these places, oftentimes you’ll have to wait patiently for a table to open up or you’re practically sitting in the diner’s lap next to you because it’s too darn crowded. At Frasca, a pizzeria and wine bar located at Paulina St. & Roscoe St., you don’t run into these problems. My roommates and I wonder why we haven’t had to wait 30+ minutes to grab a table at Frasca. Perhaps drivers lose patience if they can’t find a parking space nearby. I admit, it’s easier to take the Brown Line and get off at the Paulina stop to get there. Or, maybe it’s the efficient wait staff and sensible layout of the restaurant that allow service to run at an even pace. The bar wraps around the center of Frasca and seats up to 18 people. (Tip: Great place to dine for a casual date!). For larger parties, the booths and tables surrounding the bar are comfy and evenly spaced. And, if weather permits, there are plenty of tables outside for al fresco dining. Needless to say, Frasca Pizzeria + Wine Bar is known for its pizza. 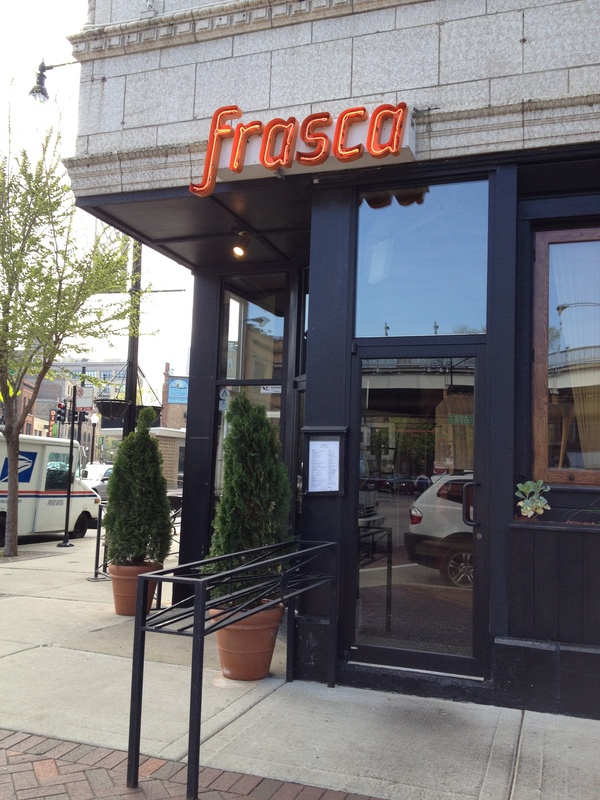 Frasca’s pizza is not the traditional deep dish pizza or pan pizza Chicagoans are familiar with. It’s Italian style pizza cooked in a wood-burning oven to make the thin crust perfectly crisp and chewy. The Prosciutto, Margherita, and Soprano pizzas are among my favorites. (Tip: Dine at Frasca on Wednesdays for buy one get one free pizzas!). Although the pizza is fantastic, I typically go there for brunch or happy hour. There are many drink specials throughout the week for a cheap happy hour, such as ½ off bottles of wine on Mondays and $6 dollar specialty martinis on Thursdays. 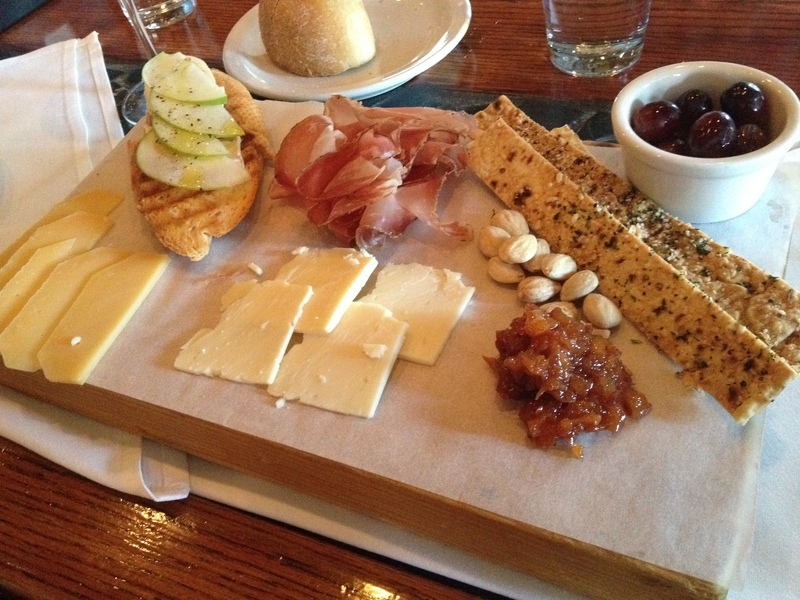 Also, ask your server for the Farmers Table menu, which features a variety of bruschettas, cheeses, and cured meats. I fully recommend ordering a butcher’s plate, so you can sample different items on the menu. For instance, I can split a small butcher’s plate with a girlfriend and select the Tomato & Basil Bruschetta, Brie & Apple Bruschetta, Delice de Bourgogne Cheese, and Prosciutto. Four items may not seem like much food, but trust me, the portions are generous and filling. And, Frasca adds fun accouterments to the butcher’s plate like grapes, almonds, and chutneys. Weekend brunch at Frasca is equally amazing! Though they serve typical brunch fare – pancakes, French toast, etc. – you want to order items with an Italian twist. The Breakfast Pizza is something you won’t see at most restaurants. 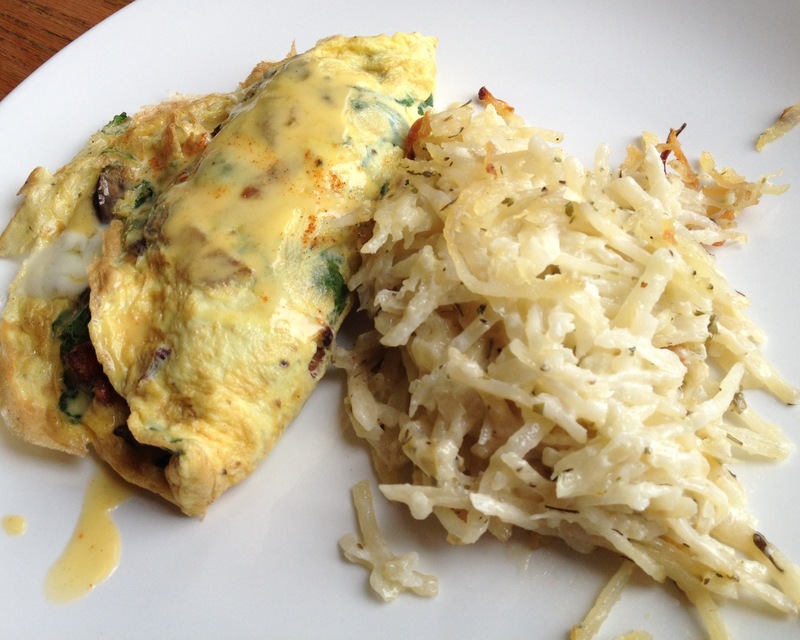 And, the Paulina St. Omelette is to-die-for with mozzarella, mushrooms, sautéed spinach, and a drizzle of hollandaise. (Tip: Skip the diet! Order the side of potatoes instead of fruit. Frasca adds alfredo sauce and rosemary to its potatoes…YUM!). 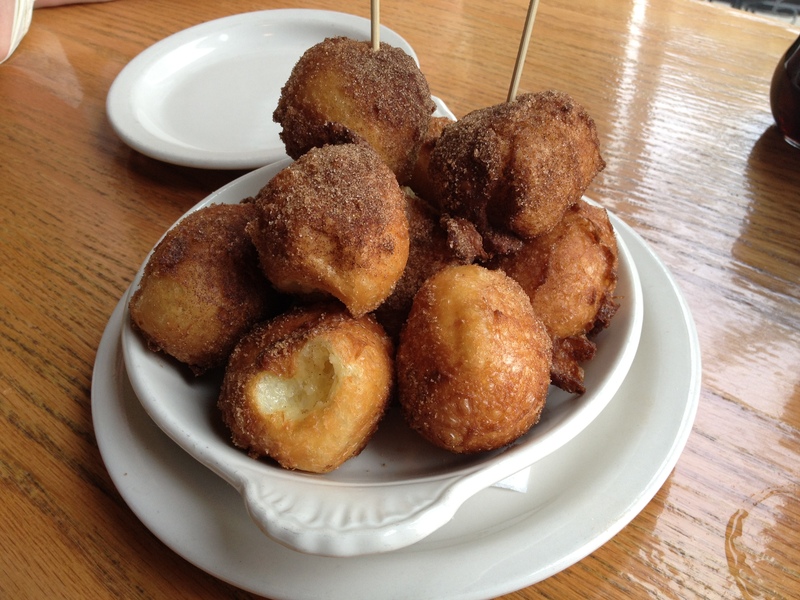 If you want to splurge even more, try the cinnamon-sugar donuts. They come fresh out of the kitchen piping hot. Frasca is open Monday through Thursday 4:30 p.m. – 10:00 p.m., Friday 2:00 p.m. – 11:00 p.m., Saturday 10:00 a.m. – 11:00 p.m., and Sunday 10:00 a.m. – 9:00 p.m. Need a cute outfit to wear for a date at Frasca? Then, head over to Bazar fashion boutique (Frasca’s next door neighbor). Bazar has lots of flowy dresses, cute accessories, and even a few decorative pieces for the home. It’s a great place to find gifts for your girlfriends, because items are reasonably priced around $50 dollars or below. If you’re not in the mood for wine, stop by Northdown Café and Taproom down Lincoln Ave. The beer menu is insanely long, but don’t be intimidated! The bartenders are incredibly nice and help you navigate the extensive list of brews on tap, bottles, domestics, and imports.